Every Wednesday, all across the internet, bloggers post a photograph with no words to explain it. Here is mine. I love this photo Louise. Great photo for Wordless Wednesday! Thanks, PJ. 🙂 This picture was one I intended to send to you as a prompt. Unfortunately, by the time I realised the email they were in hadn’t actually sent you’d put the notice up saying you didn’t want any more! I thought I may as well make use of it. 🙂 If you want to use it, feel free to copy it from here. Thanks,Louise! I was disappointed that you hadn’t sent me the pictures, but one day I will be asking for more and hope you will send me some then. It is a cool photo!! I really thought I’d sent them! My internet is abysmal, unfortunately. I don’t receive emails that I know have been sent to me and I’ll frequently find those that I’ve sent have bounced back into my inbox. The same thing happens with comments on here, as well. It’s very annoying! That really would be annoying! To believe you have sent something and find out it had not been sent. Thanks, Jessie. 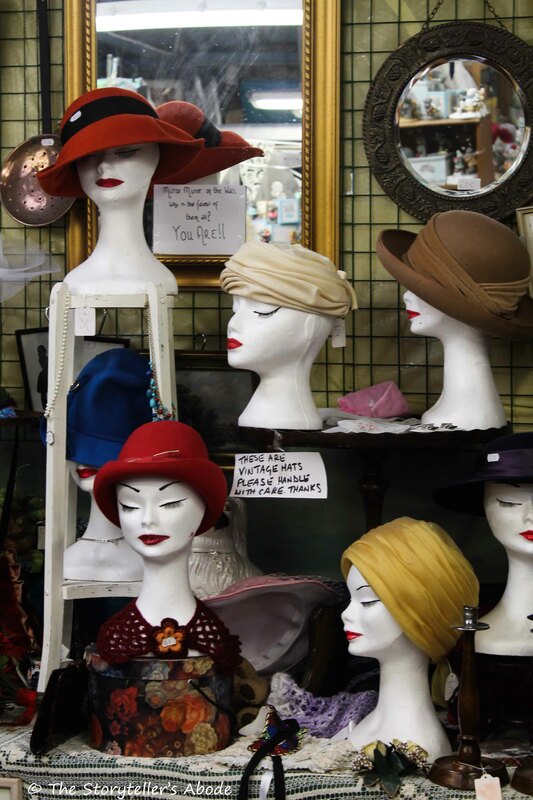 🙂 The hats caught caught my eye as soon as I walked into the vintage market! I would love to have the red hat! !